What is NATO? What does NATO do? Who is in NATO? Why is NATO important? You may have asked some of these questions yourself over the years, perhaps after seeing something on the news about the Balkans, or perhaps Afghanistan. Maybe you heard about NATO with regards to the intervention in Libya, or the alliance’s response to Russia’s invasion of Ukraine in 2014. Or maybe you’ve just heard the term before and always wanted to know more. 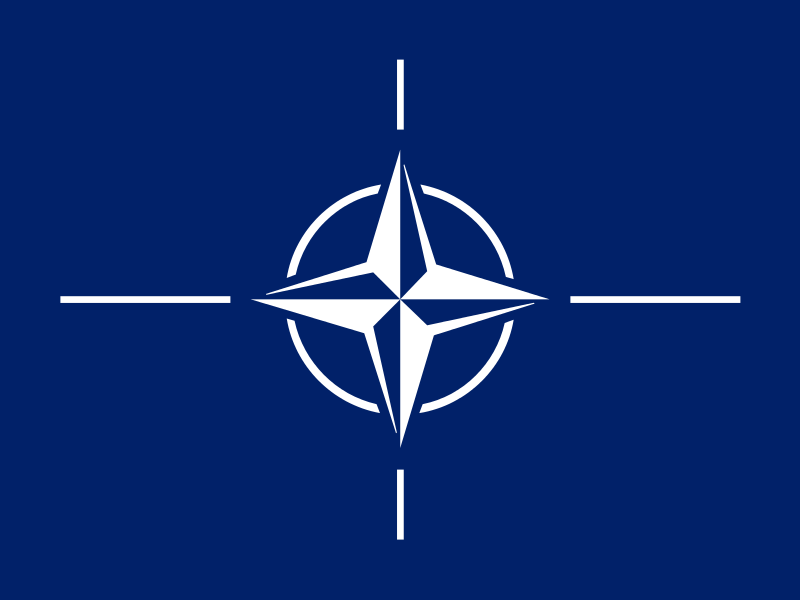 It is my hope that this post will be helpful to those who know little about NATO as well as beneficial to those who already have a fair idea of what it is and what it means. Basically what it means is that, should any member of NATO come under attack (in Europe or North America), that member may request the alliance assist in their defense. 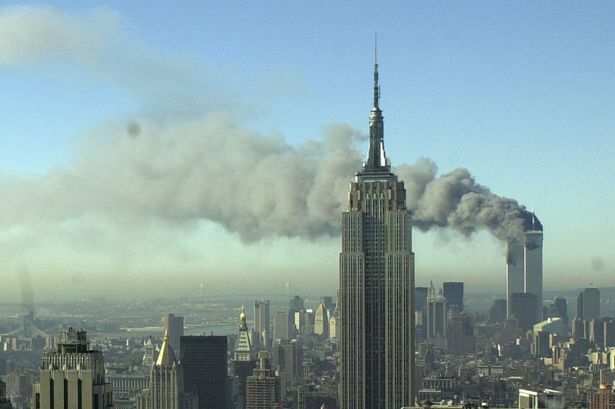 In the entire history of NATO, Article 5 has only been invoked one time, that being by the United States following the terrorist attacks on September 11th, 2001. NATO’s response to the activation after 9/11 was the deployment of soldiers by almost every NATO member-state to Afghanistan to assist American and Afghan security forces. As you can see, NATO has continued to enlarge in recent years. This has alarmed other countries, in particular, Russia. Russia sees NATO as a relic of the past, something used by the United States to wield immense political power against its rivals (namely Russia itself, along with Serbia and later Libya [as we will explore later]). NATO was created in the shadows of the second World War. Twice in the past 30 years Europe had destroyed itself in the two bloodiest wars in recorded human history. Millions perished around the world, and as Europe began picking up the pieces and rebuilding, the United States, relatively unscathed by the war, emerged as a global superpower. 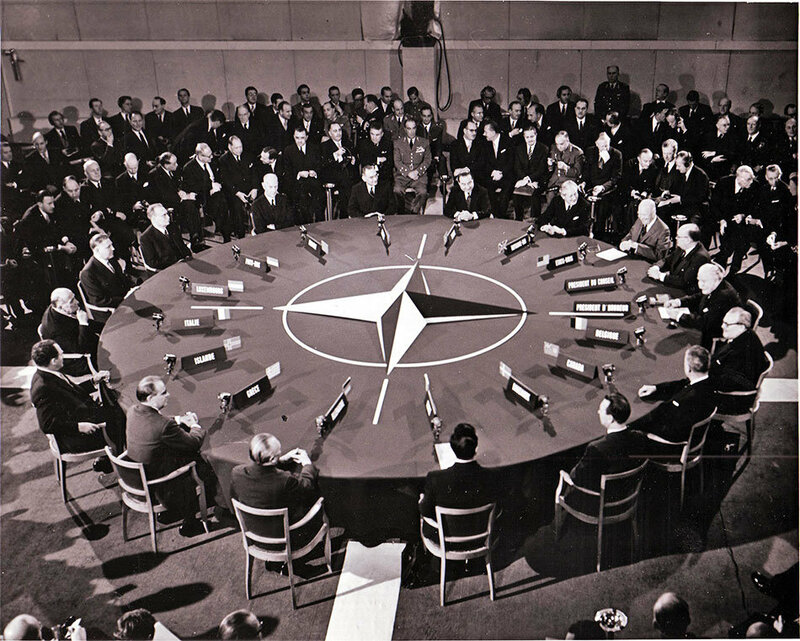 It sought to, among other things, safeguard Europe from what it saw as Soviet aggression while also providing an alternative to building up a national military for defense; if you join NATO, you have the collective strength of all members, in particular the United States. Thus, it made sense for many of the post-war nations in Europe to join the alliance. In 1952, the anti-communist governments in Turkey and Greece both joined NATO, which is significant due to Turkey’s massive military forces (the second-largest in the alliance today). Later, the Bonn-Paris conventions brought about an end to the Allied occupation of West Germany and not only reestablished West Germany’s sovereignty, but also granted West Germany membership in NATO. In response to the inclusion of West Germany into NATO, the Soviet Union and its allies founded the Warsaw Pact (or the Treaty of Friendship, Co-operation, and Mutual Assistance) on 14 May 1955. The Warsaw Pact basically acted as a counterweight to NATO, providing mutual defense agreements among its members, of whom there were 8 (later 7). These member states were Bulgaria, Czechoslovakia, East Germany, Hungary, Poland, Romania, the Soviet Union, and Albania (who withdrew in 1968 following the Pact’s invasion of Czechoslovakia during the Prague Spring). Enforcement of UNSC embargo monitoring on warring factions in former Yugoslavia, naval blockade. NATO enforcement of UNSC-mandated No-Fly Zone over former Yugoslavia. NATO Airstrikes against Bosnian Serb air defenses (Operation Deadeye) and later Bosnian Serb command/control facilities and ammunition facilities. NATO Peacekeeping mission in Bosnia. Deployment of 60,000 troops from 16 NATO and 17 non-NATO countries, including Russia. 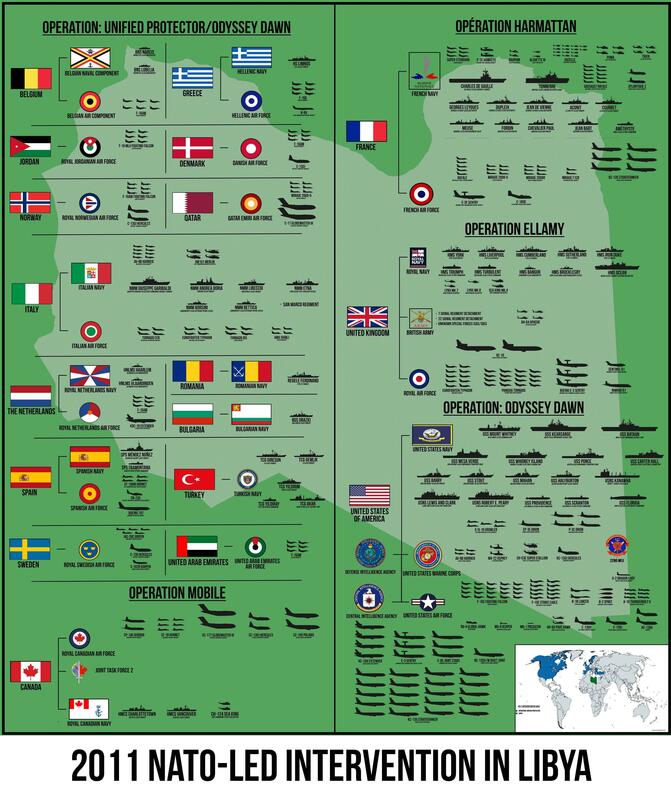 Continuation of Operation Joint Endeavour by NATO members, ending in the withdrawal of NATO forces in 2004. Large-scale NATO operations against the Former Republic of Yugoslavia (FRY: Serbia and Montenegro) and their forces in Kosovo. Operation saw the bombing of major Serb cities such as Novi Sad and Belgrade, along with widespread destruction of Serbian and Montenegrin military forces. This bombing would serve as the turning point in public relations between many Russians and the West, proving NATO would “stop at nothing” to impose its will on other states if Russia did not provide a counterweight. NATO-led force in Kosovo implementing the peace settlements that ended the wars in the former Yugoslavia. As authorized by the UNSC on 20 December 2001, the International Security Assistance Force (ISAF) to Afghanistan is established to assist the Afghan authorities with maintaining security and control over the whole of Afghanistan. Following the US-led invasion of Iraq in 2003, NATO forces began providing training personnel for the Iraqi Security Forces (ISF) to help stabilize Iraq. NATO anti-piracy mission around the world. Thus, it can be seen that with the fall of the Soviet Union, NATO lost a sense of its original purpose. NATO became a tool to be wielded by US foreign policymakers. Even with the activation of NATO in 2001, the use of the alliance was dubious at best. The original purpose of the alliance had been to fight a war in Europe, not Afghanistan. Some began questioning the usefulness of NATO, while still others outright called for its dissolution. Fortunately for fans of military blocs, Russia gave NATO a breath of new life in 2014 by annexing Crimea from Ukraine. 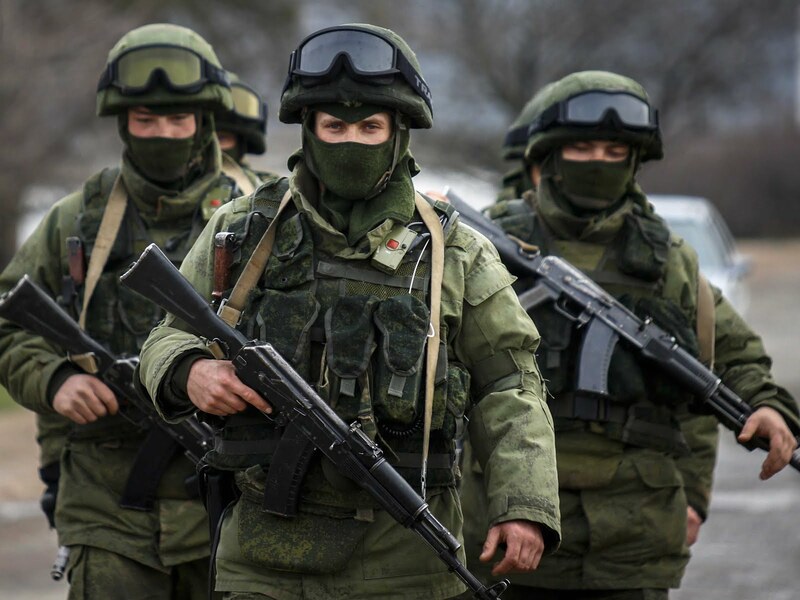 Russian soldiers (“Little Green Men”) in Crimea, 2014. The annexation of Crimea showed a belligerent side of Russia that had been hinted at in 2008 during the invasion of Georgia, but not fully understood by many in the West. 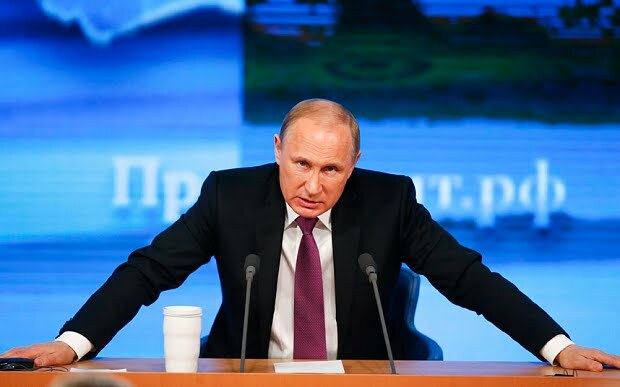 However, the message came through loud-and-clear after Russian troops landed in Crimea, and later the Donbass. Almost immediately, Lithuania, Latvia, and Poland activated Article 4 of the Charter and convened an emergency meeting about Russian aggression. 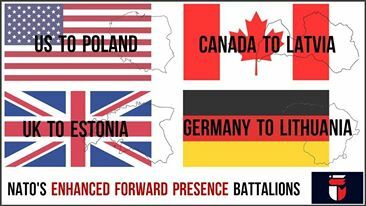 NATO has since deployed permanent forces to the Baltic states (Estonia, Latvia, Lithuania) and Poland. While NATO continues to evolve into a 21st century military alliance, one equipped and ready to defend Europe against Russian (or “enemy”) aggression, it also has retained its newfound appreciation for interventions. In March of 2011, the UN Security Council passed Resolution 1973, which called for an immediate ceasefire in the then-ongoing Libyan uprising against Muammar Gaddafi. Resolution 1973 gave room for nations or organizations to stand in to implement the no-fly zone/shipping restriction zone, and NATO happily stepped up to the plate. The intervention was known by several names: Operation Odyssey Dawn (United States + Others), Operation Harmattan (France), Operation Ellamy (United Kingdom), and Operation Mobile (Canada). The operation eventually expanded from no-fly zone enforcement to the destruction of Libyan air defense systems. By the time the campaign concluded in October (after Gaddafi was captured and killed brutally by local forces on the ground), over 600 tanks and other armored vehicles, along with 400 rocket launchers, were among the nearly 6,000 military targets destroyed by the coalition. Relations within NATO are strained at the moment, in particular between Western European/American leaders and Turkish leaders. Turkey, a key member of the alliance, has accused the United States of harboring Fethullah Gülen, a man Turkey’s government says is responsible for the July 15, 2016 coup attempt. The United States has yet to extradite Gülen. The future of Turkey’s NATO membership may be in the balance, although many suspect this is only a temporary upset in US/Turkish relations.